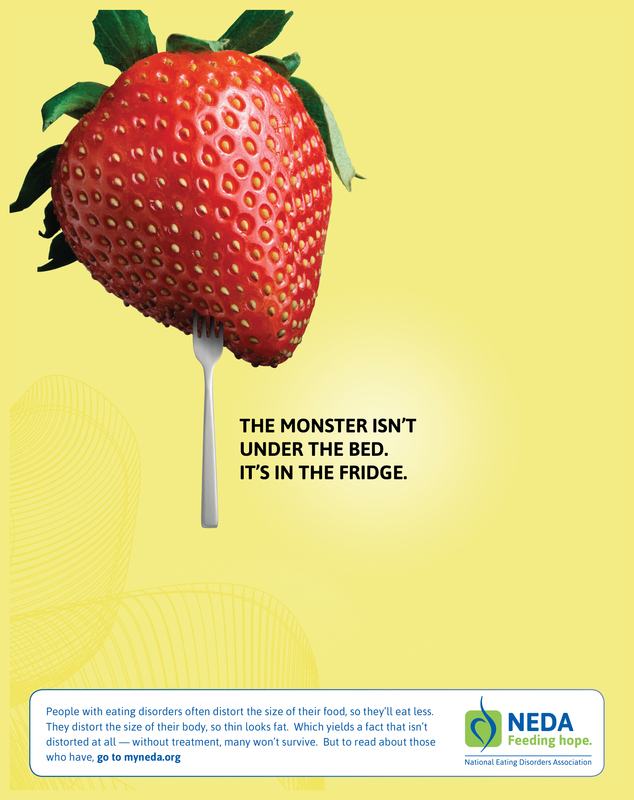 The monster isn’t under the bed. It’s in the fridge. People with eating disorders often distort the size of their food so they’ll eat less. They distort the size of their body so thin looks fat. Which yields a fact that isn’t distorted at all- without treatment, many won’t survive. But, to read about those who have, go to myneda.org.